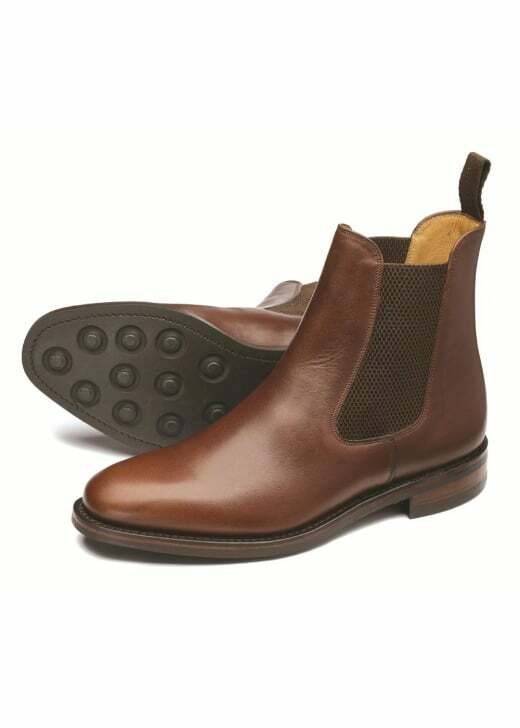 The Loake Blenheim Chelsea Boots are from Loake's premium 1880 range that emulates the way the company first manufactured its fine, handmade shoes more than 130 years ago. The Loake Blenheim Chelsea Boots are from Loake's premium 1880 range that emulates the way the company first manufactured its fine, handmade shoes more than 130 years ago. Featuring a waxed leather upper and rubber soles, these classic Chelsea boots are easy-to-wear and the perfect addition to your everyday wardrobe.